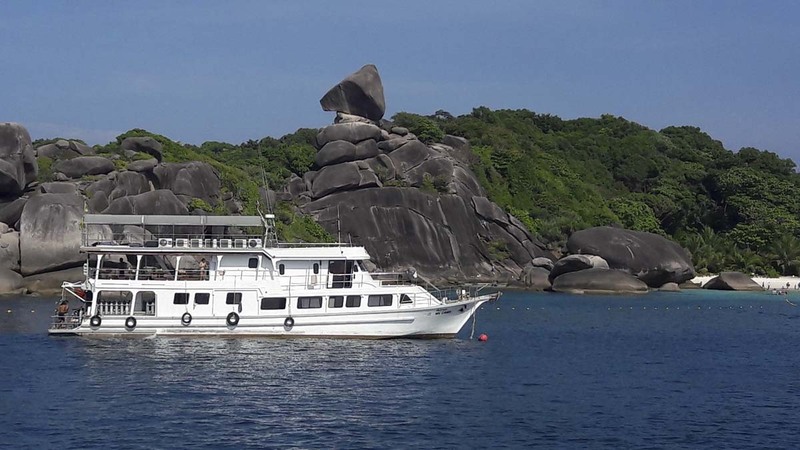 At 27 metres in length, MV Camic is a typical-size liveaboard boat which visits the Similan Islands & Richelieu Rock. 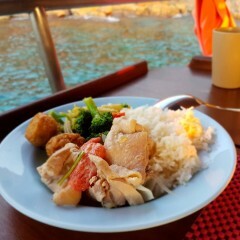 The boat has earned a reputation as something a bit special for its delicious food. 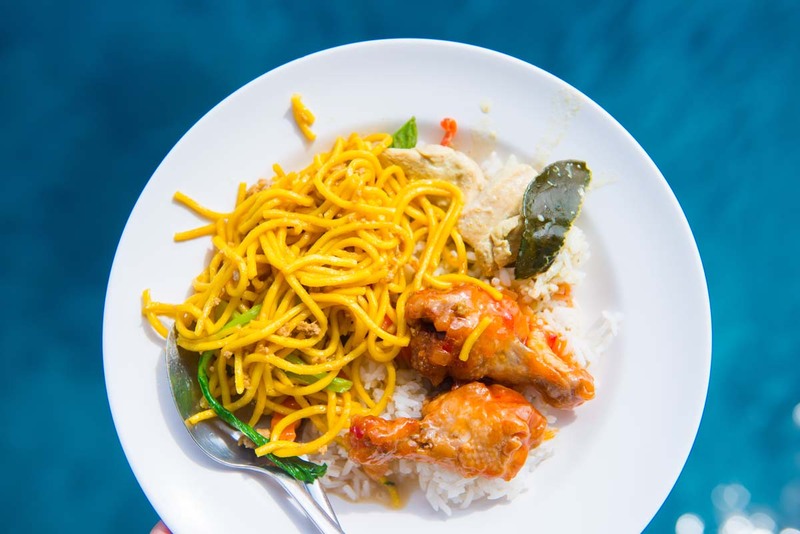 The mouth-watering meals are something to look forward to throughout the diving day. 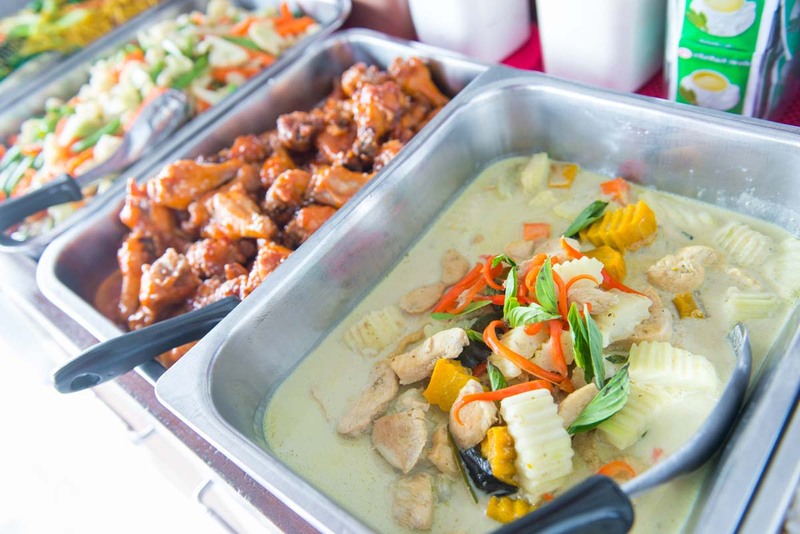 This includes Thai and western cuisine, served buffet style. 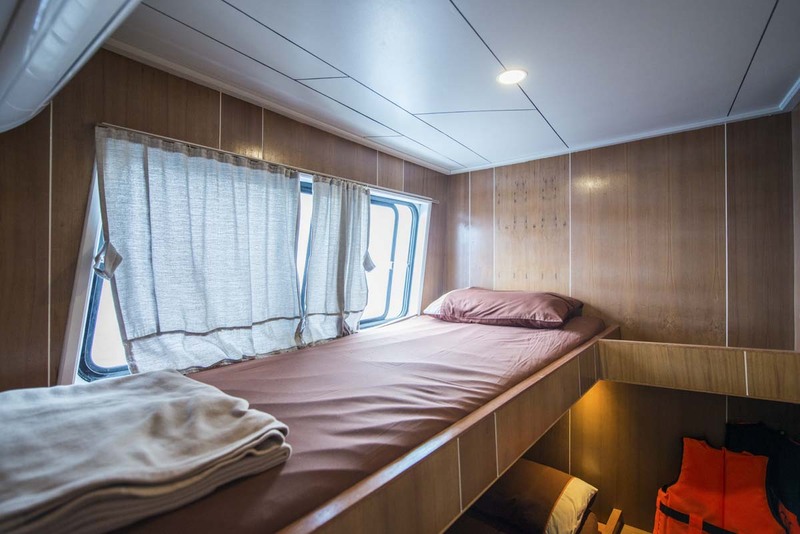 For most trips, there are two cabin types to choose from. 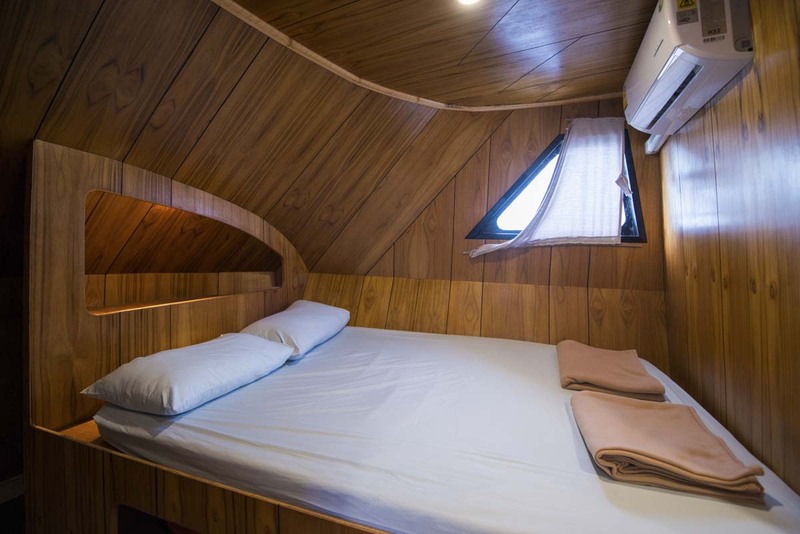 These are the master cabins which have a double bed, and the twin-bunk cabins that have two single beds. 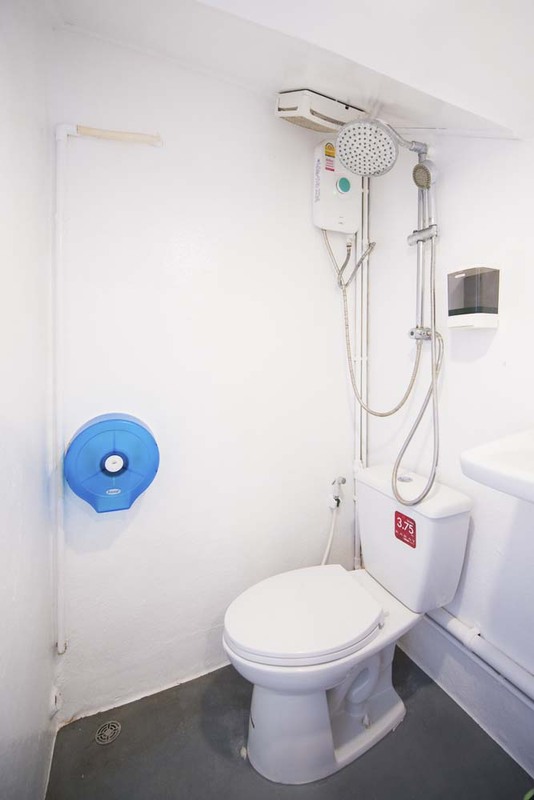 All have private en suite bathrooms & air conditioning. 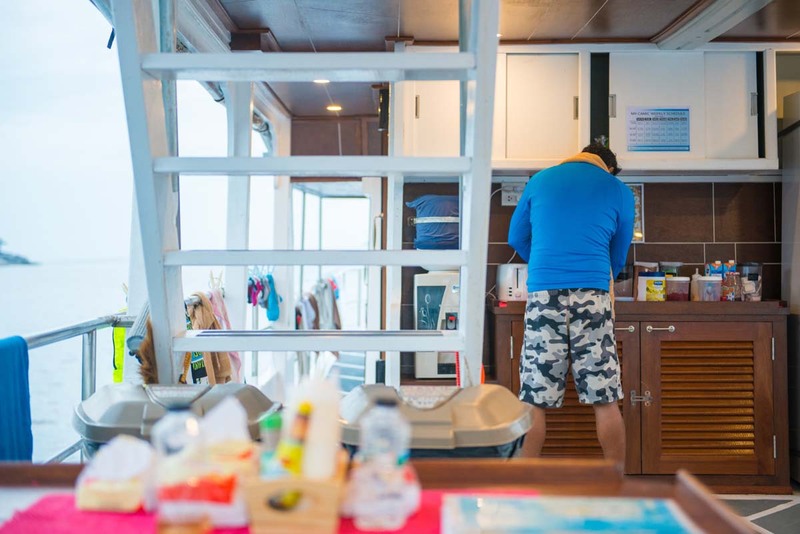 For some private charter trips there is also the option of a standard twin cabin that shares the boat's communal bathrooms. 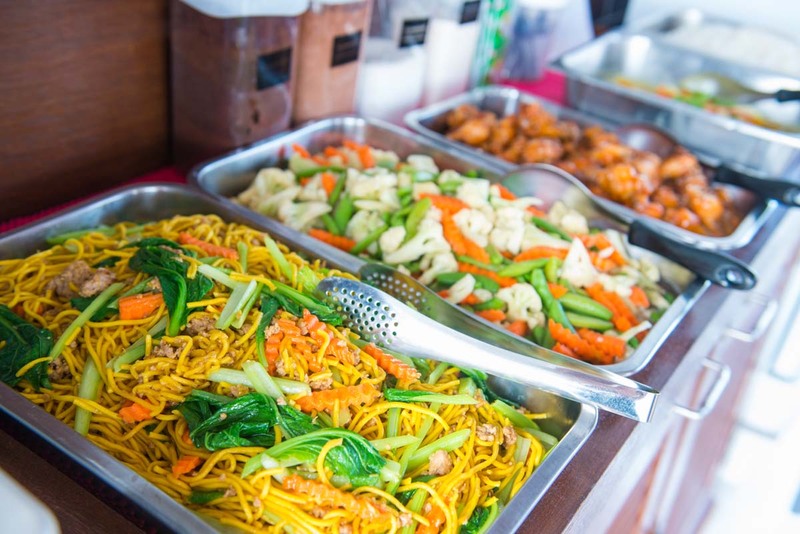 There is a covered communal area where the delicious meals are enjoyed. 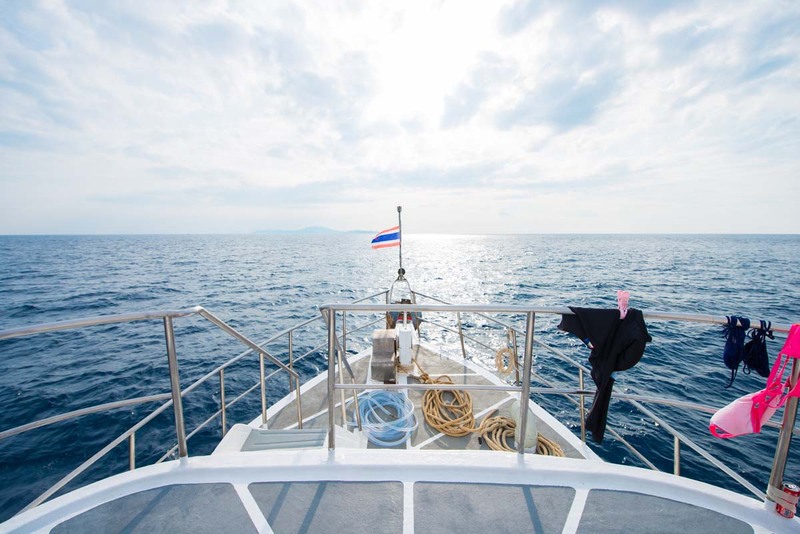 On the top and at the front of the boat are areas for guests to enjoy the sea breeze, sunbathe, gaze at star-filled skies or watch out for jumping dolphins. 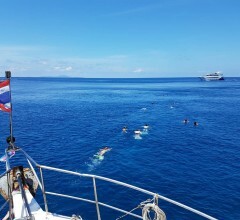 Trips used to 'flexible' meaning that divers can join on any day. But starting October 2018 Camic will offer fixed schedule 4D/4N and 5D/5N trips which visit The Similans, Koh Bon, Koh Tachai, Richelieu Rock and The Surin Islands. Please note that these trips are also shown by other websites to be 5D/4N and 6D/5N, which is incorrect and misleading. Do not trust these websites because they're trying to make the same trip look better. 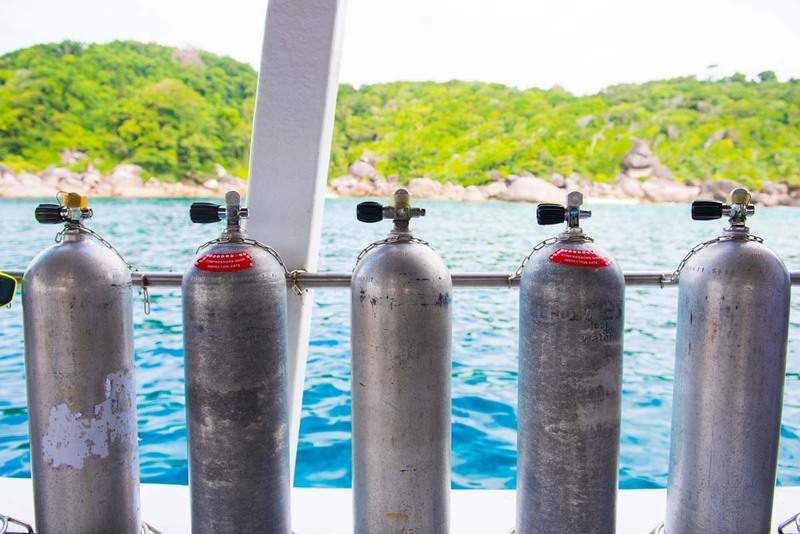 There is time to relax and really get into the fun diving, or even take part in a PADI dive course to increase your certification and experience. 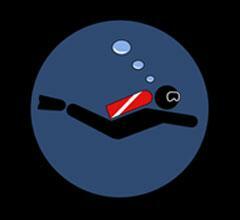 PADI courses on Camic are unbeatable value. 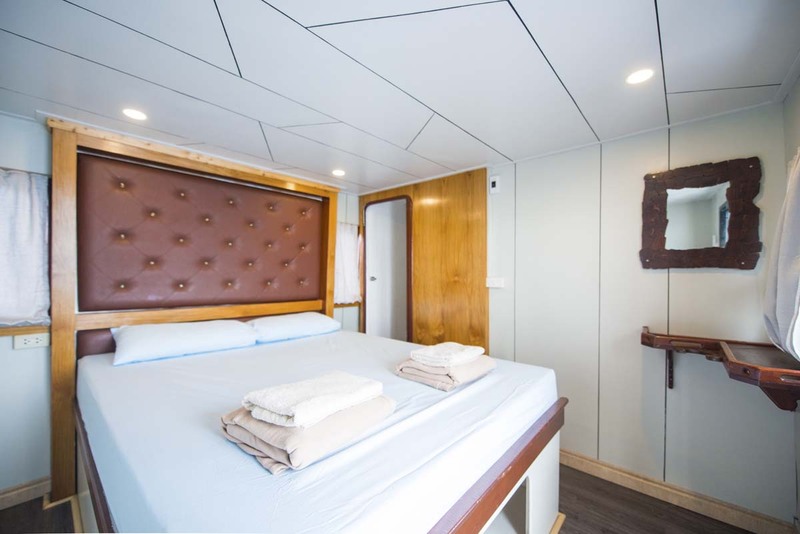 In fact, excellent value is pretty much what MV Camic trips are all about. 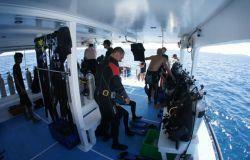 Air-conditioned comfort and safe diving are all that many people need, without breaking the bank on expensive luxuries. 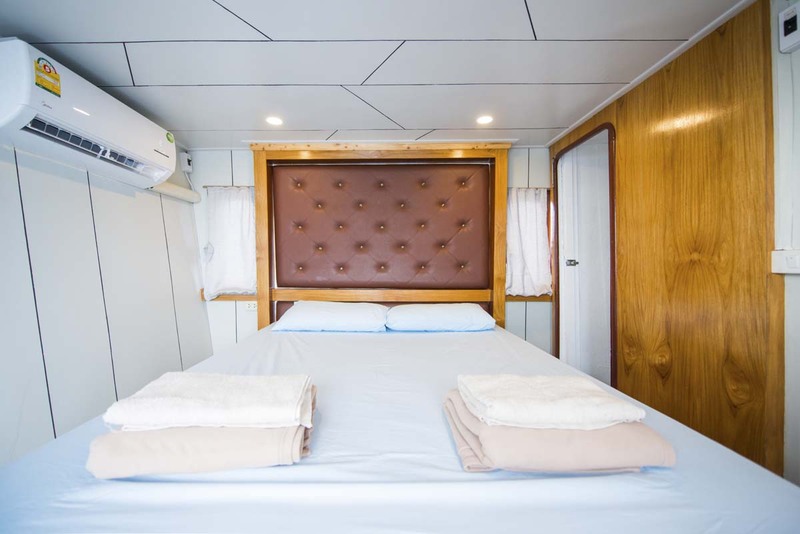 To see more about MV Camic, such as pictures, prices, schedules and more, just click on the tabs above this text. There are two different itineraries for Camic. Four days & nights and five days & nights. 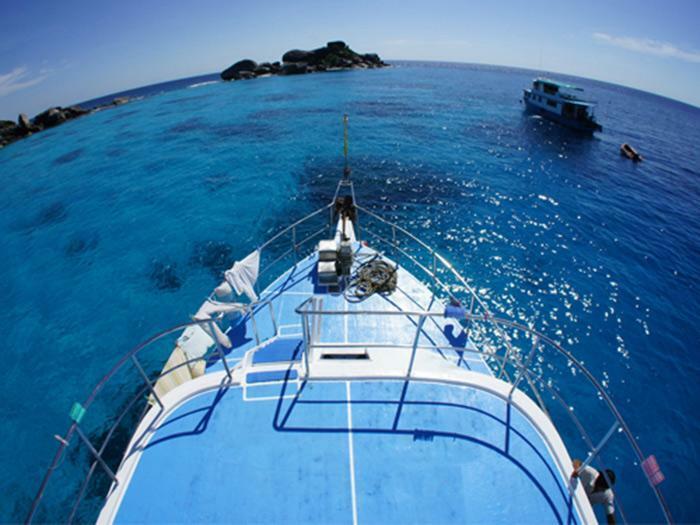 Both start at an easy dive site in the central Similan Islands, and offer at least one beach visit. 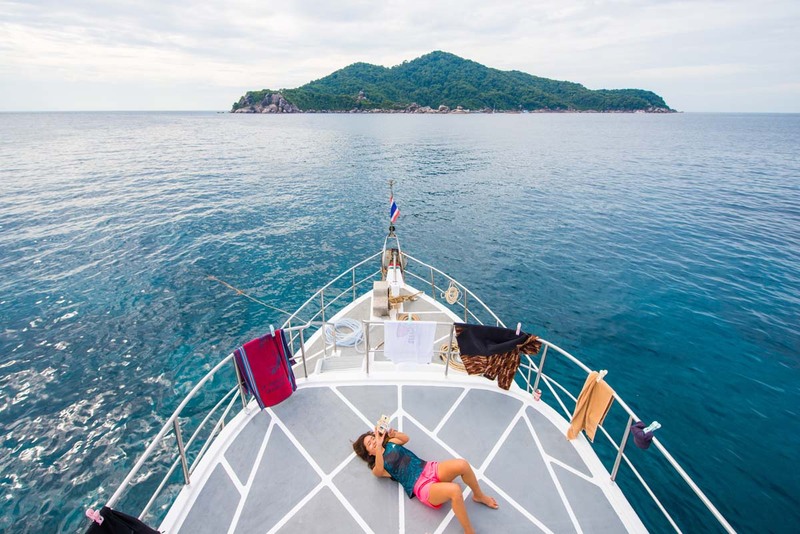 They travel north to Koh Bon, Koh Tachai, Richelieu Rock and The Surin Islands, usually visiting the Moken Sea Gypsy Village. Some websites show the trips as 5D/4N and 6D/5N but this is wrong. The boat departs in the evening and returns in the afternoon four (or five) days later. 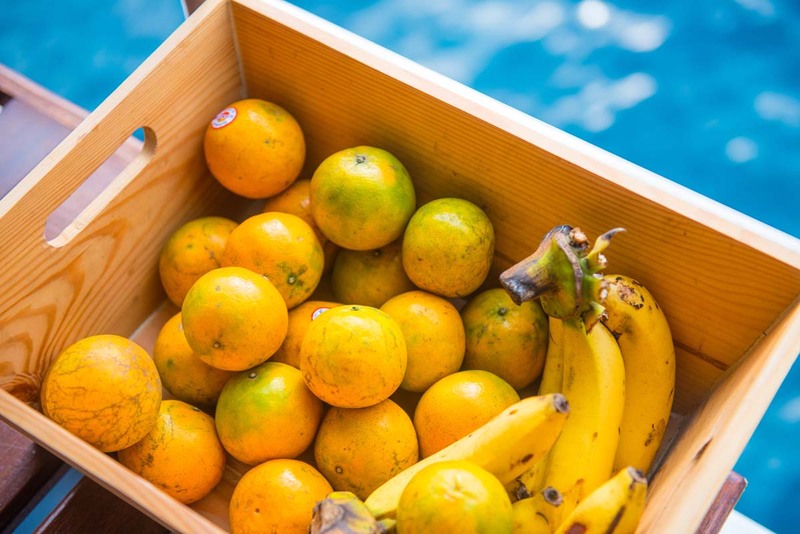 Click on the itineraries below this text. 1. 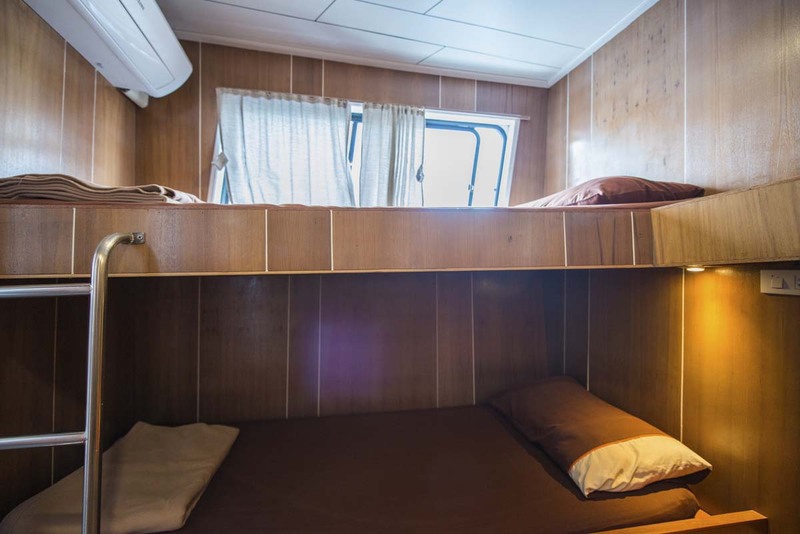 Twin Deluxe Cabin. 4. 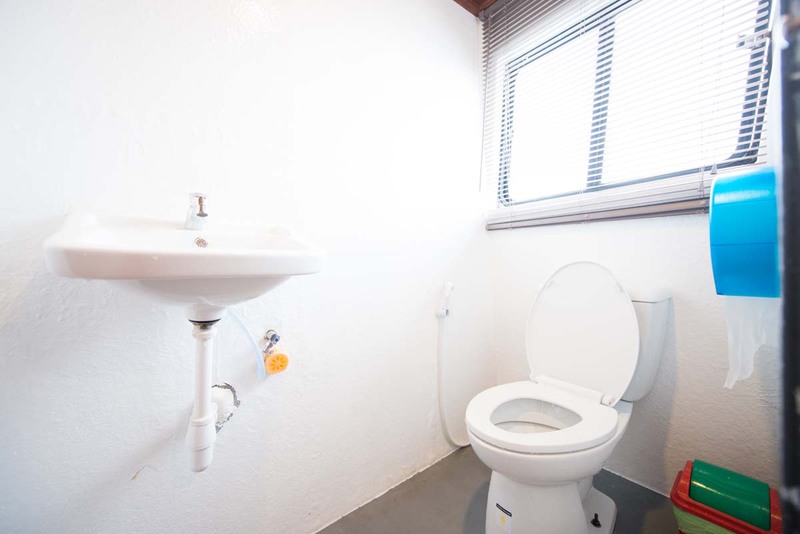 Communal Bathrooms. 2. 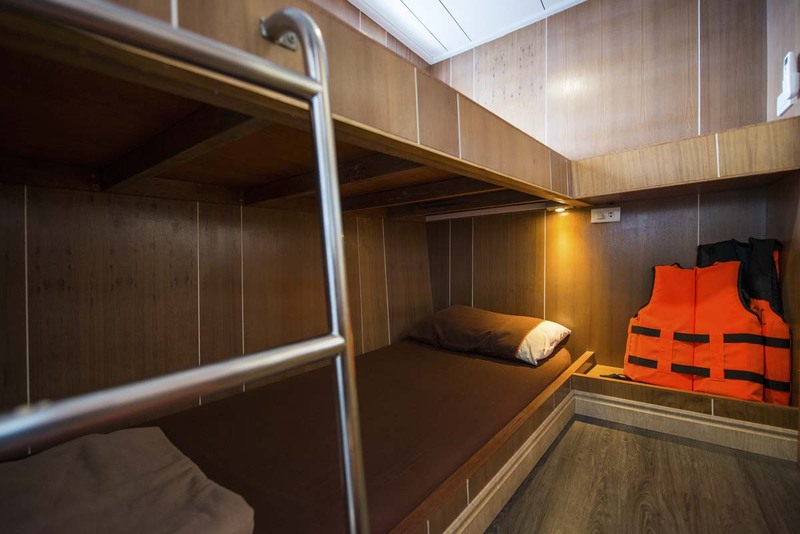 Twin-bunk Cabin. 5. 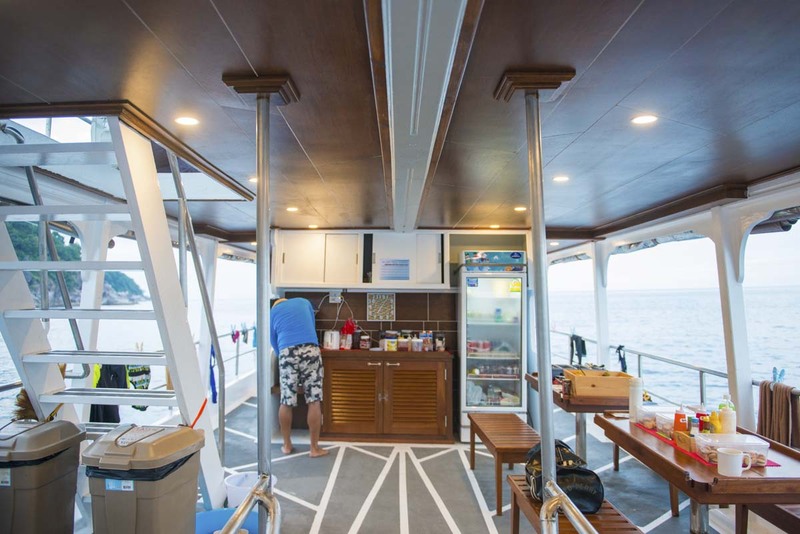 Dive Deck & Platform. 1. Bridge. 4. Dining Area. 2. 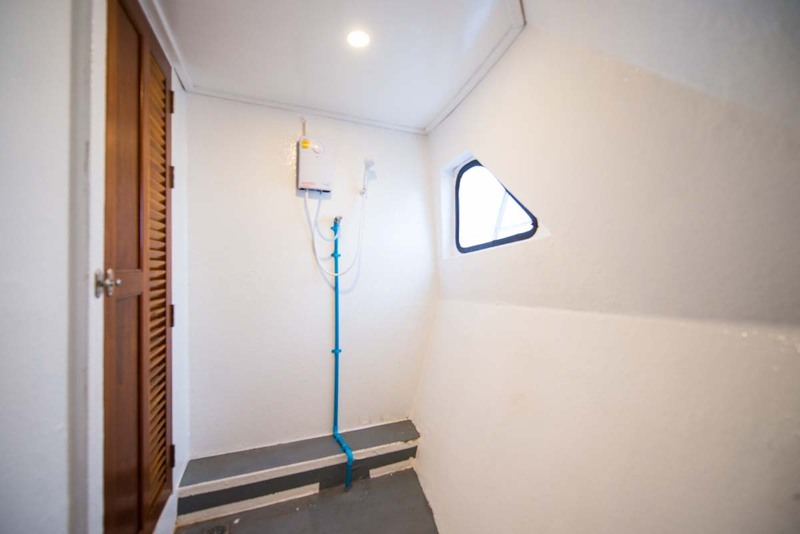 Master Cabin (en Suite). 5. 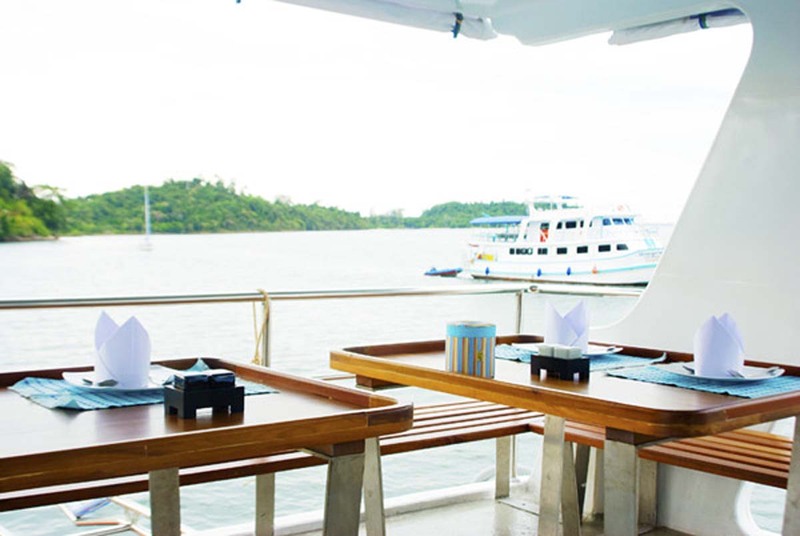 Upper Sun Deck. 1. Open Sundeck. 2. Sunroof Shaded Area. Engines: 2x Hino 330 Hp. Generators: 2x . 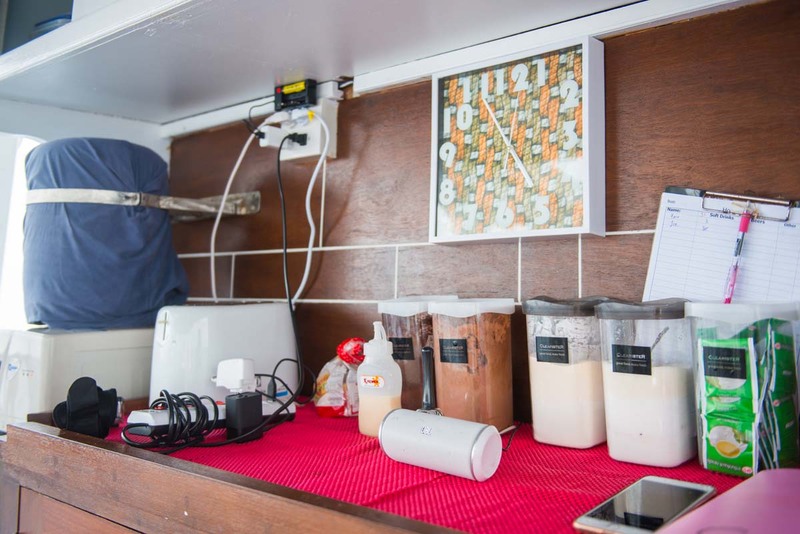 50 Kw, 30 Kw. 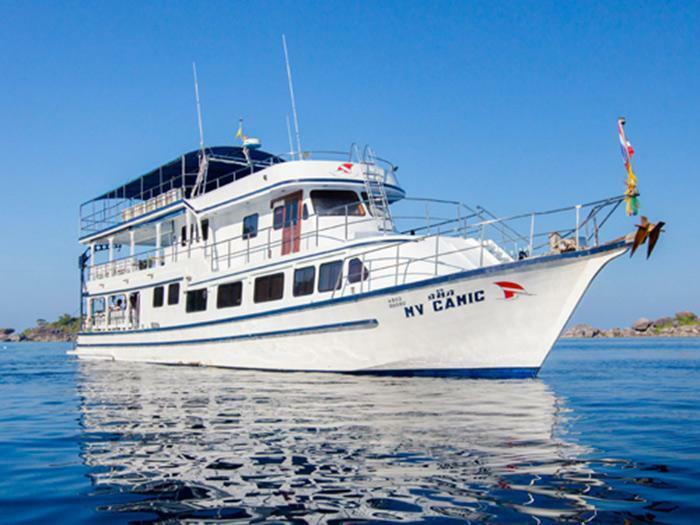 Not only is MV Camic a great-value and easy Similans liveaboard to do fun dives from, it is also one of the best and least expensive to take part in a PADI diving course while on board. 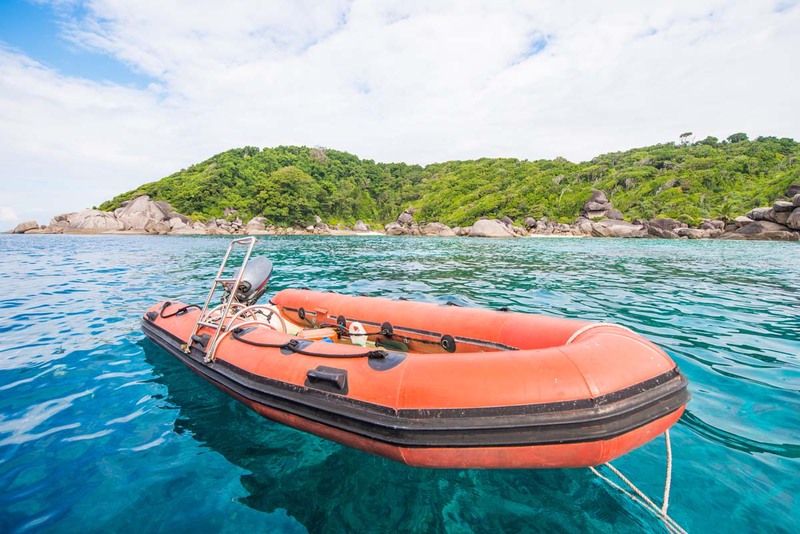 There is a wide range of diving courses that can be completed while you enjoy cruising around the crystal-clear waters of the Similan and Surin Islands. 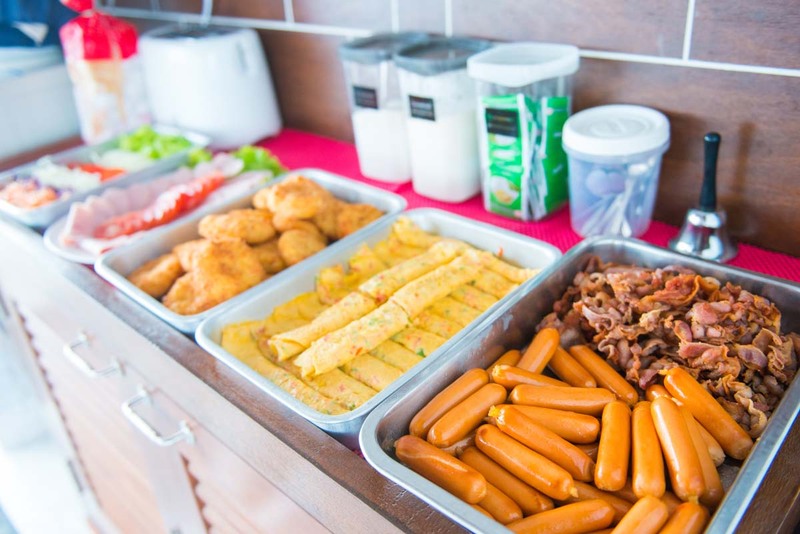 Our unbeatable prices are inclusive of materials & certification. 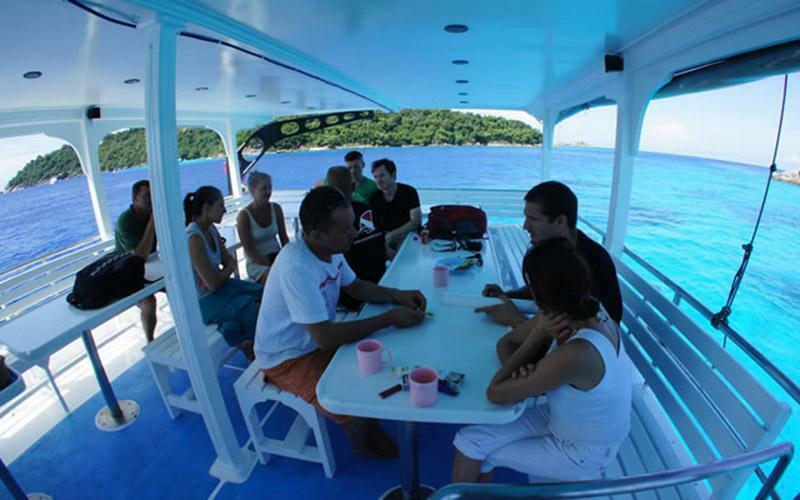 Please take a look at the table below and be sure to let us know in advance about any onboard PADI diving courses that you are interested in. In most cases, it is possible at short notice. 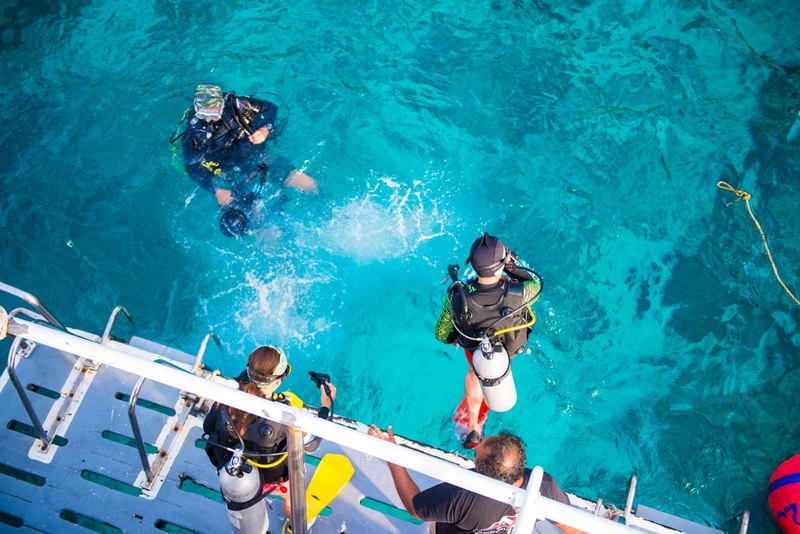 But to ensure the materials are in your preferred language and the instructor will be available at the perfect time and for the right dives of your cruise, it is a good idea to book, or at least enquire, before the trip. 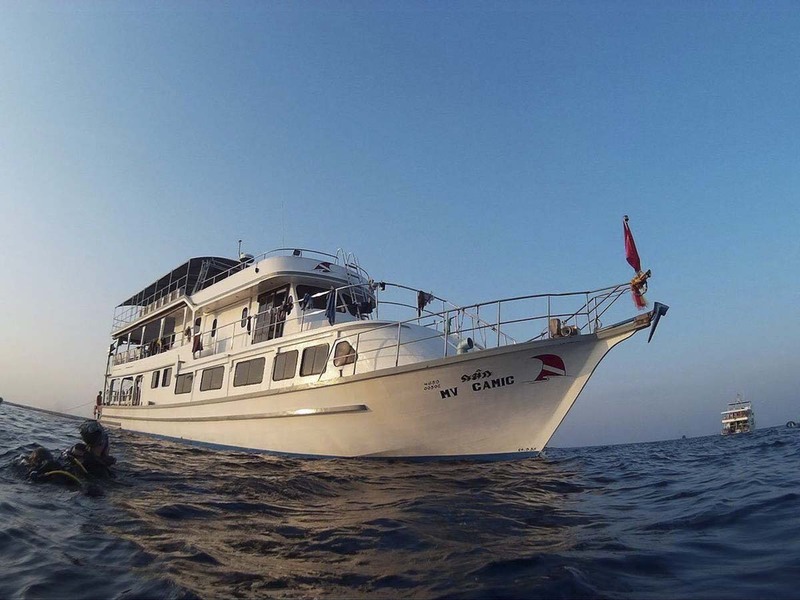 Please note that the dives are not ‘extra to the cruise.’ They are part of your chosen cruise package, but you will be taught by a qualified and experienced PADI instructor for that many of your Camic liveaboard cruise dives. 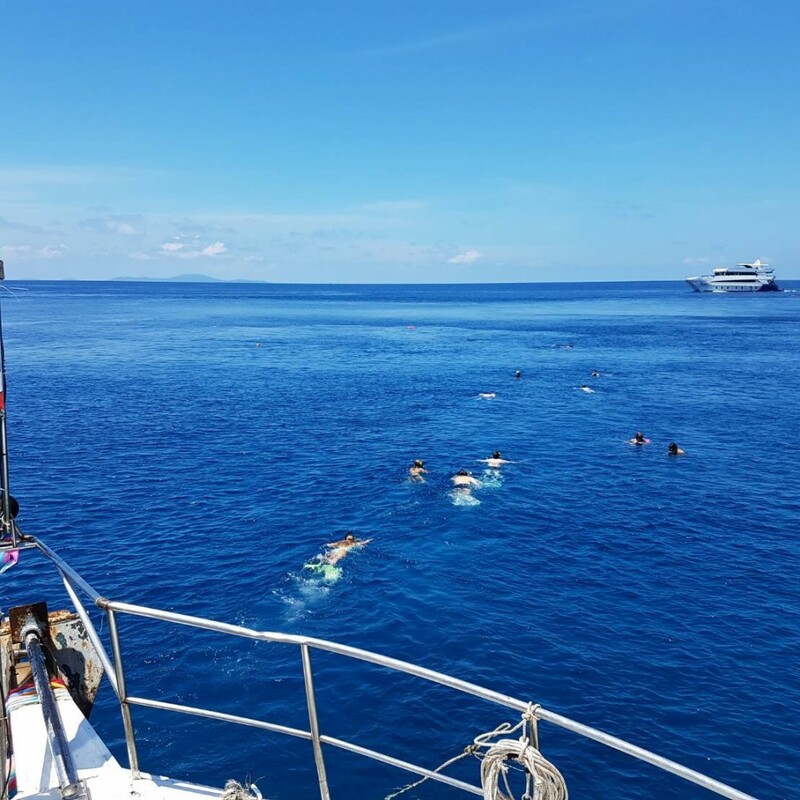 *Guests wanting to take part in courses where you learn to dive need to arrive in Khao Lak a full day before the cruise in order to take part in pool sessions known as ‘confined water.’ This takes a few hours and prepares you to dive confidently in the open sea. 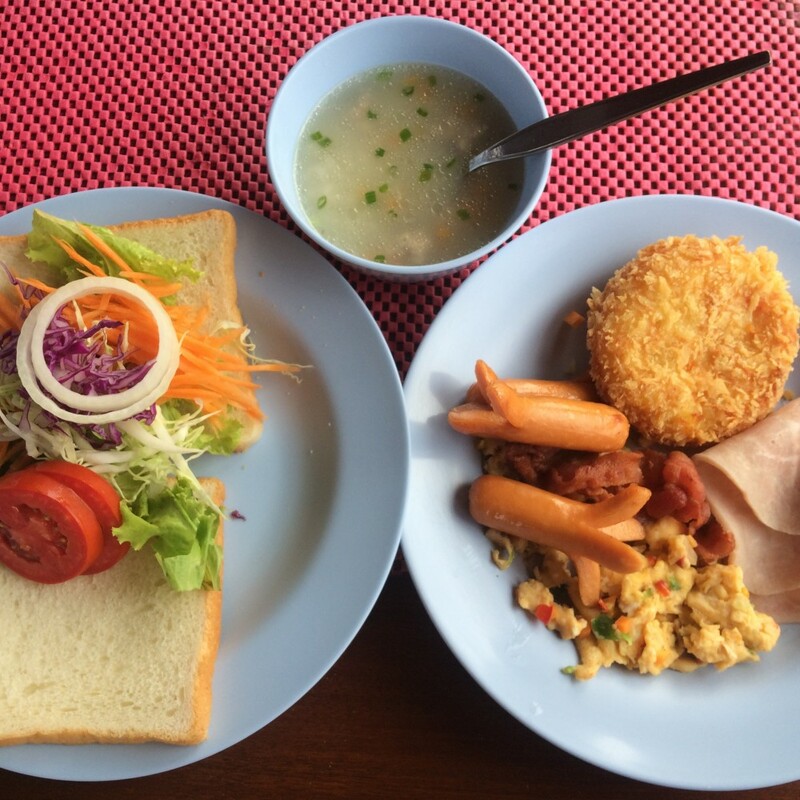 Camic guests are offered free scheduled transfers from most Khao Lak hotels and resorts. 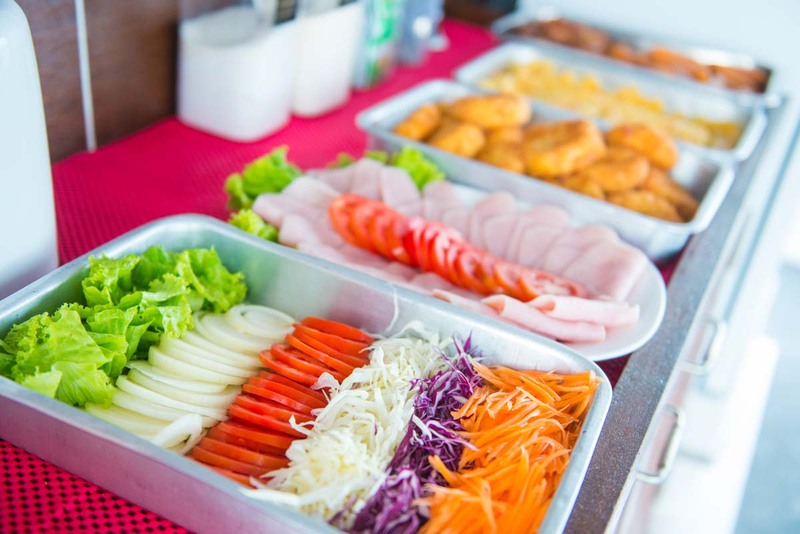 Guests coming from or returning to Phuket can do so for very reasonable rates. 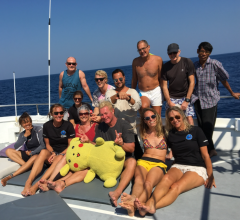 Had the most wonderful 4 days aboard Camic - it was just fabulous. 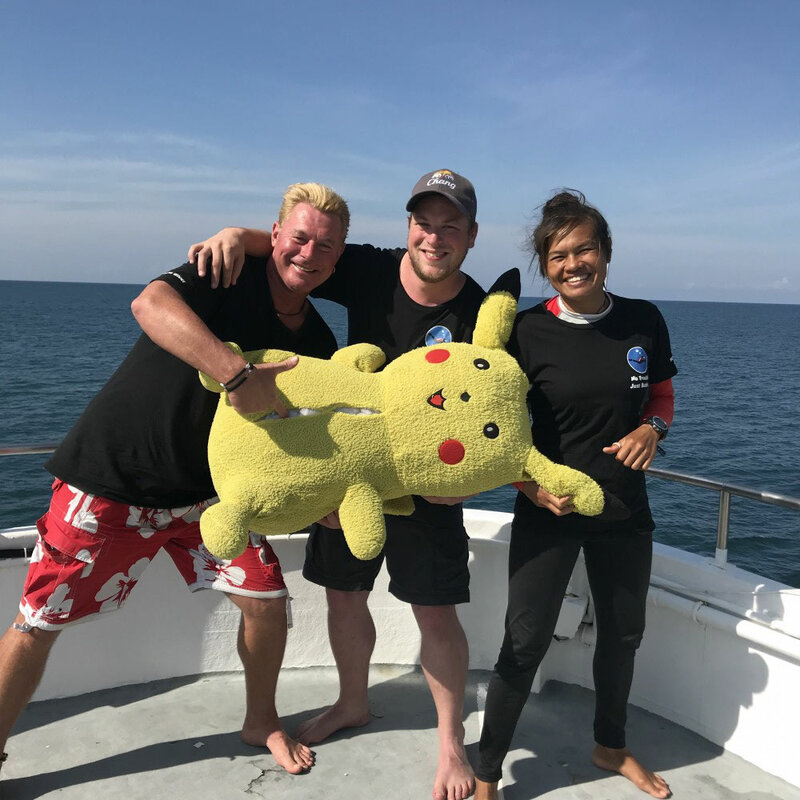 Denis was amazing , not only did he manage to get me through advanced , he laughed and encouraged us the whole time - the most delightful crew , always spot and helpful We had a great group of fellow divers . It was an unforgettable trip. Loved it !! 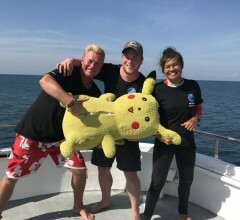 An awesome trip surrounded by professionals and fun instructors. 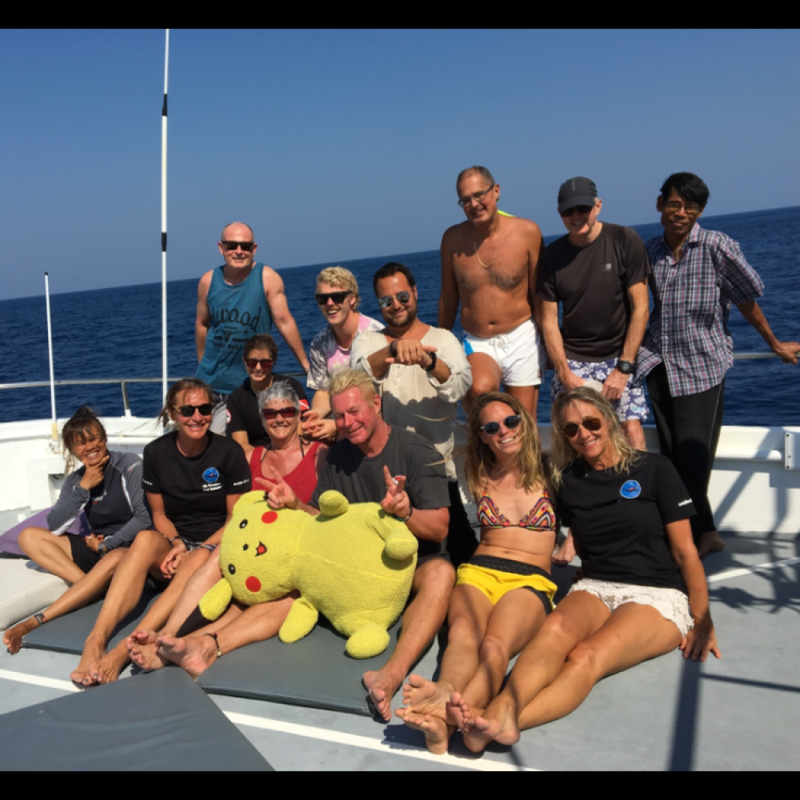 We opted for the 3 days live aboard, next time we will stay longer! Our instructors were Michiel, Jumbo, and Ronaldo, all brilliants, and adapted to our beginner level! 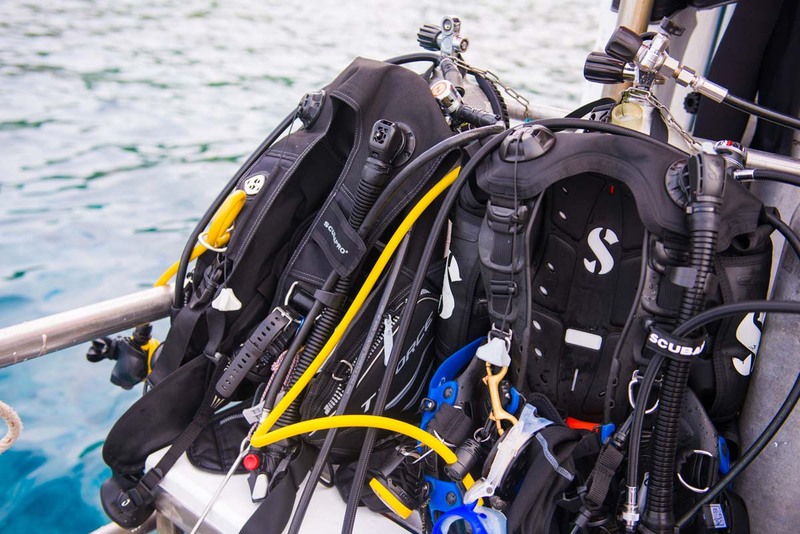 Prices are 'per diver' and non-divers receive a discount. 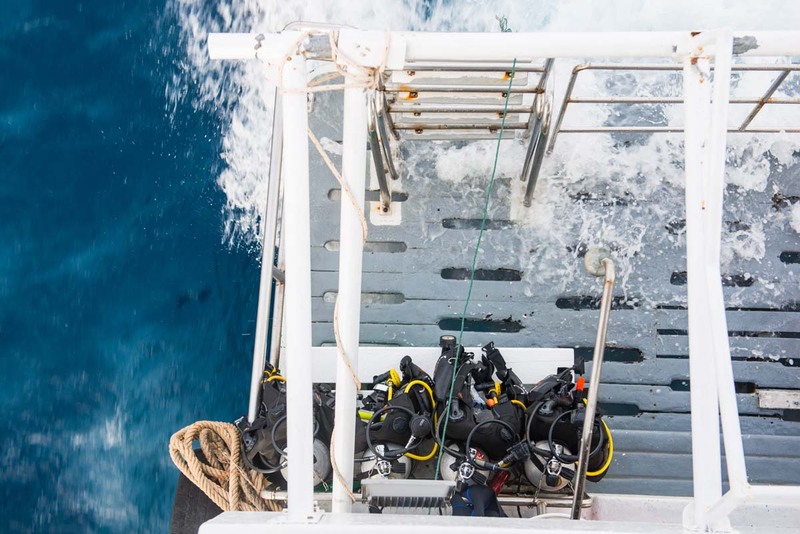 Prices include scheduled transfers, full-board accommodation, Divemaster guide services, weighbelts & weights, & 12-litre tanks. 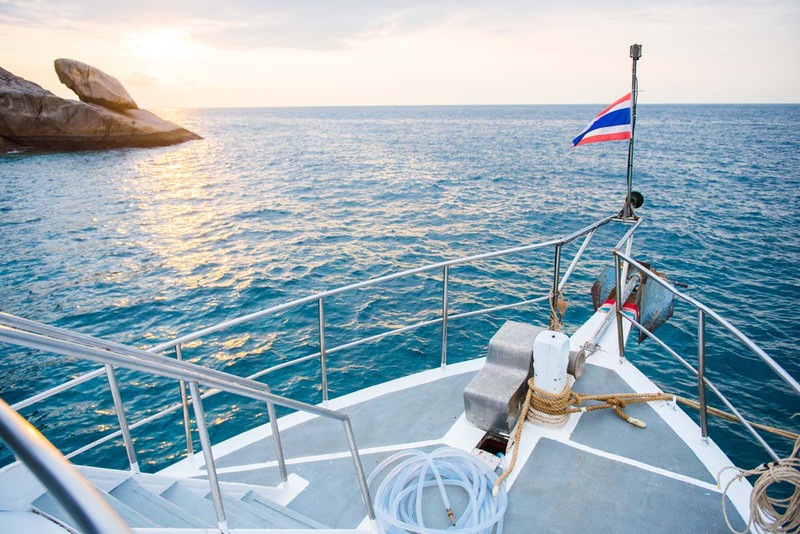 Prices do not include National Marine Park entry & diving fees charged by the Thai authorities. For other 'extras' please contact us for details. Larger tanks, beer & soft drinks, and more are all available.